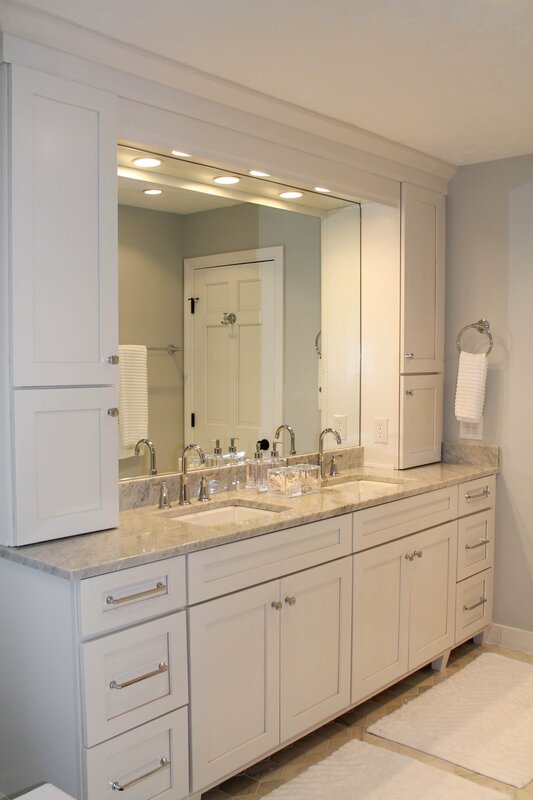 Sometimes your bathroom is dying for an update, but time or budget keeps you from taking on a full remodeling project. What can you do? 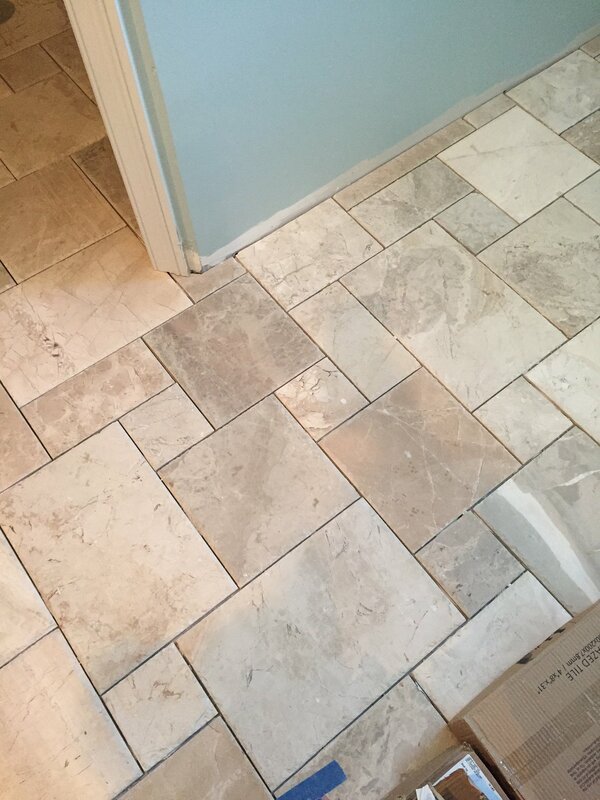 Changing flooring, especially in a relatively small area like a bathroom, is a fairly quick project that can also make a dramatic change. 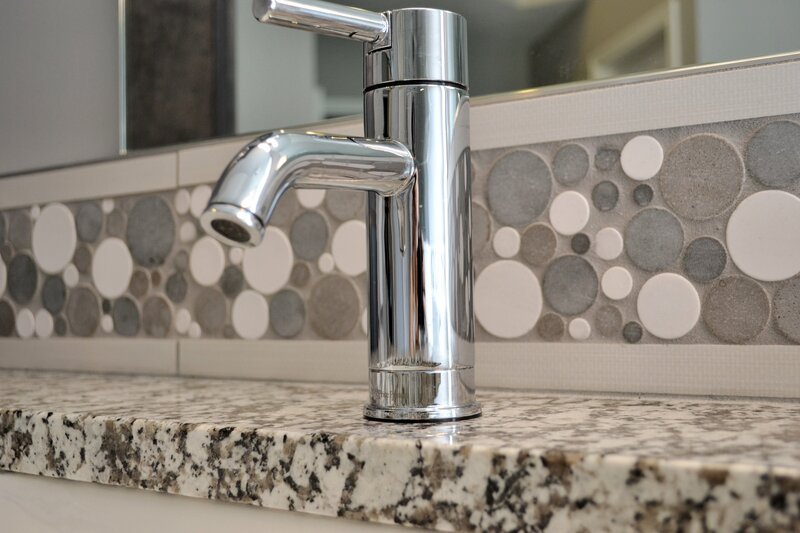 Using a material like tile gives you endless options for color, pattern, and design. New flooring and some new paint on the walls can make the space look like a whole new room. Another quick way to make updates to your bathroom is by changing out faucets and shower fixtures. Installing a stylish, modern faucet makes a big difference in the look and feel of your bathroom, and it can be done in an afternoon. New lighting is a great way to brighten up a room! Switching out light fixtures is a simple process, but doing so can really change your bathroom, and in many cases can make it a better place for things like hair styling and make-up application. Changing lighting fixtures is also a really easy way to make a dated bathroom feel more modern. Taking a few days to make these changes is a great way to transform your bathroom without maxing out your budget or taking up weeks of time. You’ll be amazed at how these three simple things can really make your bathroom feel like a completely new space! 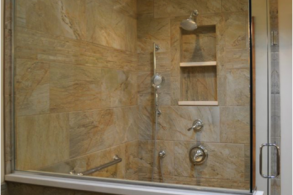 Are you interested in a quick bathroom makeover? We’d love to help you make it happen. Starting a project with us is as easy as filling out this form. Need more ideas and inspiration for your bathroom? Be sure to follow our Bathrooms board on Pinterest!